Even as adults, some people still won’t eat the stuff. And I know, those of you who won’t give in and include it as a part of your meals probably swear you have a well balanced diet otherwise. But I’m here to tell you today that you definitely should be including broccoli on your plate. This notorious cruciferous vegetable is positively packed with nutrients and provides a myriad of health benefits you should be taking advantage of. Here are nine reasons why you should try eating more broccoli. Broccoli contains vitamin C, also known as ascorbic acid, a vitamin vital to the production of collagen, one of the most common substances in the body that makes up the connective tissue between organs. Just how much vitamin C are we talking about? A whopping 220% of your daily value (DV). Broccoli is a source of beta carotene as well. Both beta carotene and vitamin C are important immune boosting antioxidants. Inside broccoli you can also find plenty of calcium. So next time you think about going for a glass of milk to get your calcium intake, eat broccoli instead. 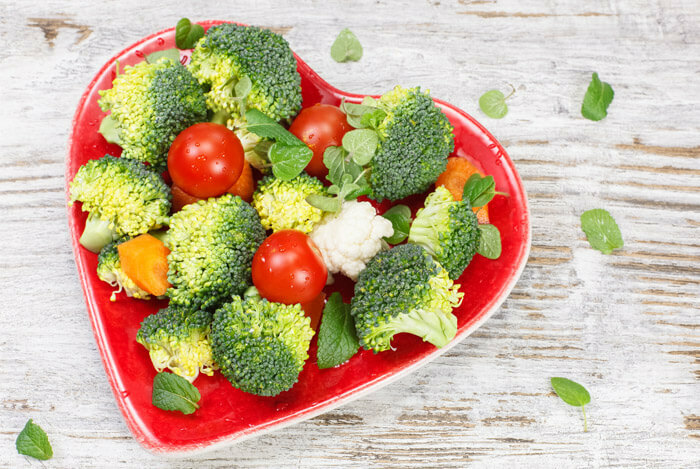 The B complex vitamins are also pretty highly present in a serving of broccoli as well – B6, B12, and folate, which are excellent for heart health. One of the primary reasons why plant-based diets are so good for you is because of phytochemicals, also referred to as phytonutrients. Broccoli contains many active phytochemicals, including the compound glucobrassican, which further breaks down into indole-3-carbinol, which is then altered to become diindolylmethane, or DIM. 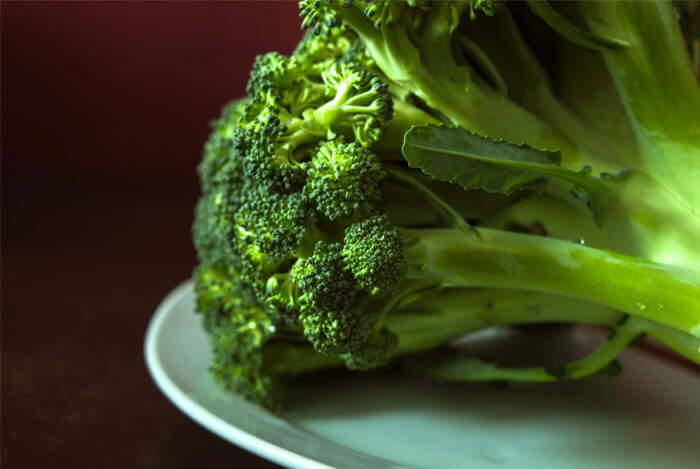 Some more of the phytochemicals present in broccoli are a group of compounds called glucosinolates, that get converted into isothiocyanates (ITCs). ITCs are sulfurous compounds found in cruciferous veggies like broccoli, which have some awesome benefits. 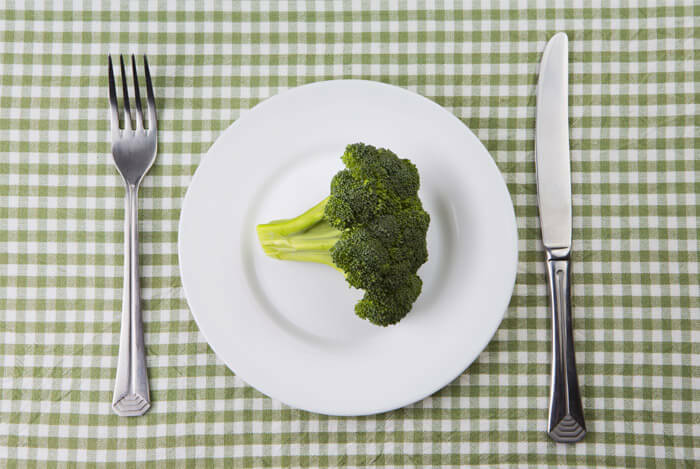 Including broccoli as a regular part of your diet may help prevent chronic diseases. A lot of this has to do with broccoli’s high fiber content. With 3.8 grams of fiber per serving, broccoli is one of the most fiber rich vegetables you can eat. Also, a health boosting compound known as glucoraphanin helps maintain cellular processes that aid the body in the fight against obesity and some cancers. 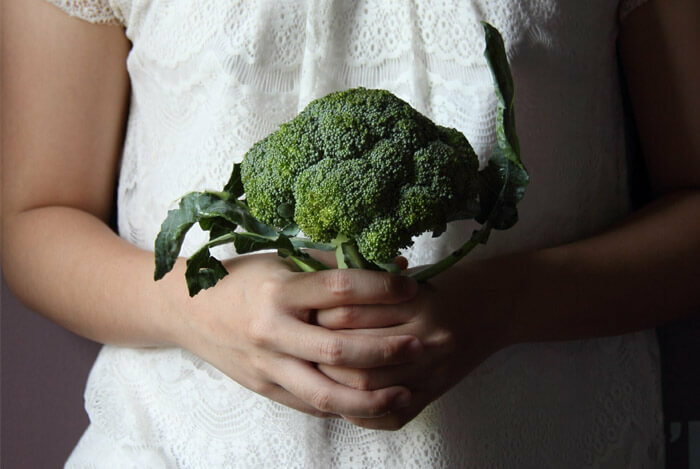 Broccoli is also an incredible source of vitamin K. Human studies on vitamin K have “clearly demonstrated” its benefit for bone health, not only by increasing bone mineral density but by reducing fracture rates. A single cup of chopped broccoli contains around 92 micrograms of vitamin K.
The recommended dietary allowance of vitamin K is at least 90 micrograms for men and women 19 years and older, so you’ve got your whole day’s worth right there. A lack of omega-3 fatty acids in your diet can contribute to an excessive inflammatory response. Many of the body’s molecules responsible for regulating the inflammatory response are made from omega-3s. This is only one of the reasons why omega-3 fatty acids are so important, and while broccoli shouldn’t be your only source of them in your diet, it contains some of the highest levels found in most vegetables. Fiber is what keeps you regular, helps your body efficiently excrete waste, and helps prevent constipation and inflammation of the intestines. Broccoli has nearly 1 gram of fiber per 10 calories. With some simple math, you can figure out how including a sizeable serving of broccoli in a few meals a week could add some serious fiber to your diet. The fiber present in broccoli comes in both forms, soluble and insoluble. While neither are broken down by the body for any nutritional value, both are crucial for digestive health. Fiber also benefits prostate health. Broccoli is now considered to be more effective than carrots in the fight against age-related macular degeneration (AMD) and cataracts. 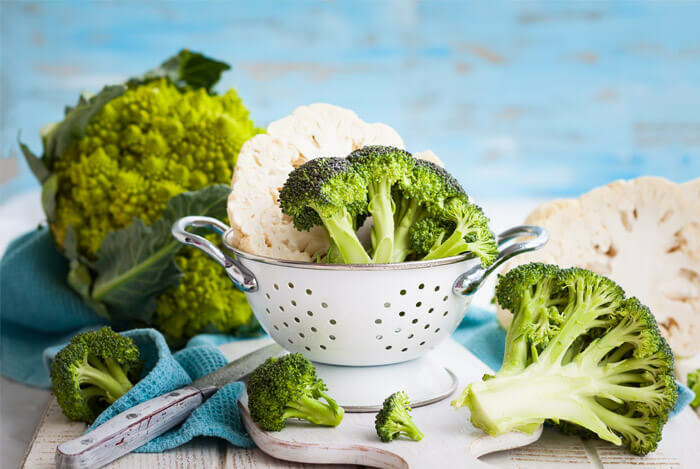 This is thanks to broccoli’s abundance of the nutrients lutein and zeaxanthin, which appear to protect the retina against oxidative risk and decrease the chances of macular degeneration. Johns Hopkins researchers found that the sulforaphane I mentioned previously, is also responsible for protecting the eye from the sun’s ultraviolet light – one of the main contributing factors in macular degeneration. 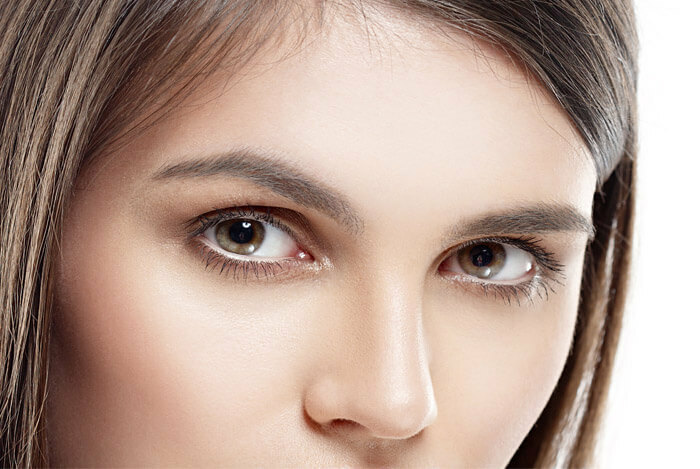 So, to keep your eyes sharp as ever, try eating more broccoli. Broccoli is a great ally in lowering your cholesterol levels, which can lead to better heart health. 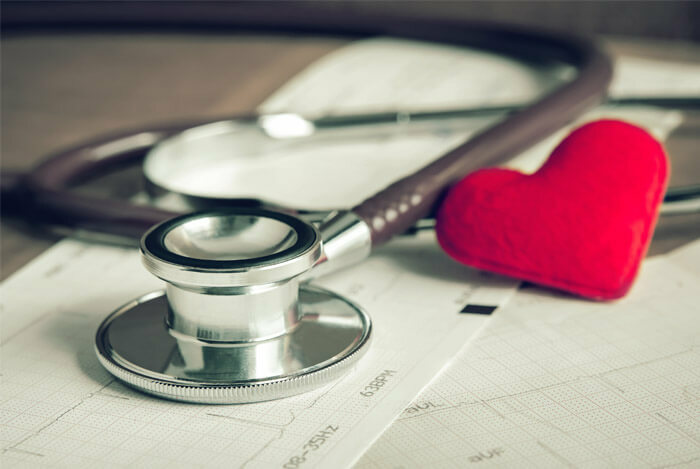 Also, the formation of homocysteine in the heart can lead to the early development of heart and blood vessel disease. Because broccoli is rich in B complex vitamins, which help to lower homocysteine levels, eating it as often as possible is an effective means of reducing your risk for these complications. Studies have now shown broccoli one of the highest selenium vegetables available. So, because it helps fight inflammation, because it keeps you regular, because it’s totally filled with important vitamins and minerals, broccoli is probably a good food to include as part of a balanced diet. What’s your take on broccoli? Have anything else you’d like to share? Let me know in the comments below!